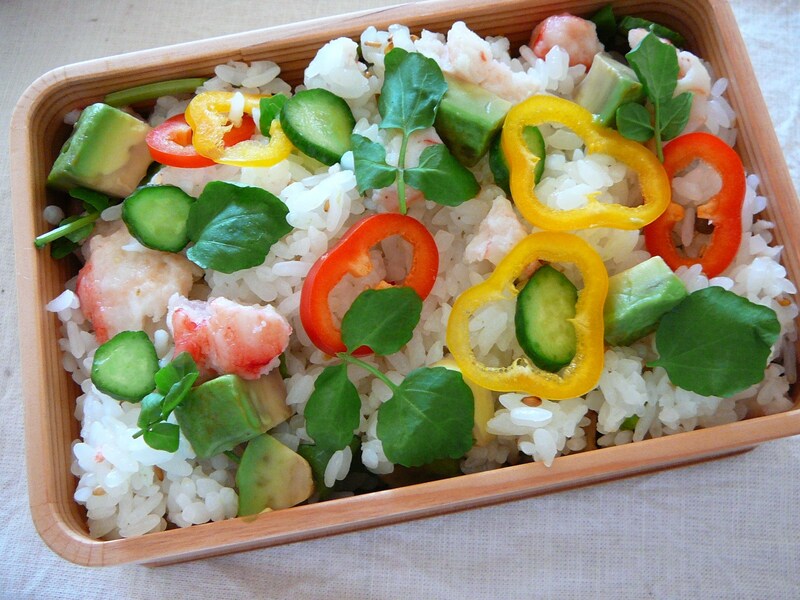 Today’s Bento/Lunch Box (11/61): Kanikama Chirashizushi Bento! 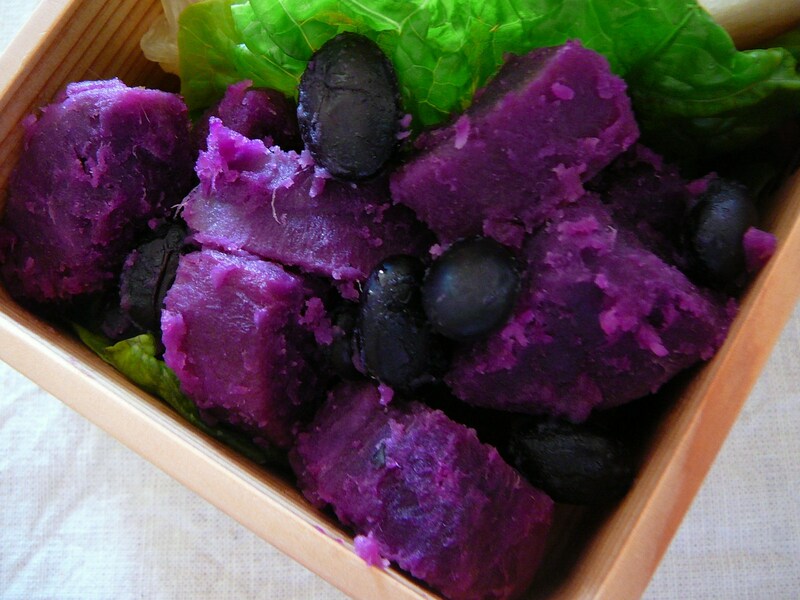 Kanikama stands for Kani Kamaboko/Crab imitation paste made with steamed fish meat! 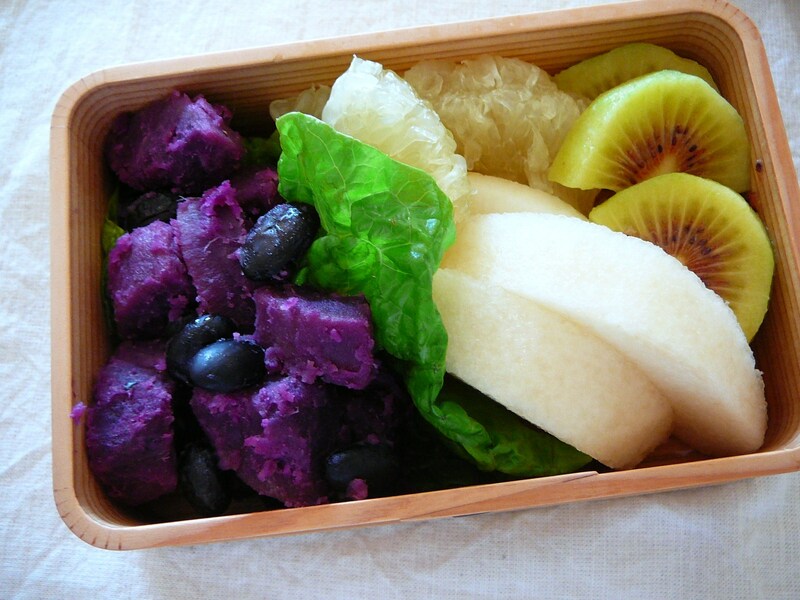 The Missus found a very interesting kanikama on the market and decided to use some for today’s bento! The best way for color and design was to prepare it as Chirashizushi/Decoration sushi! 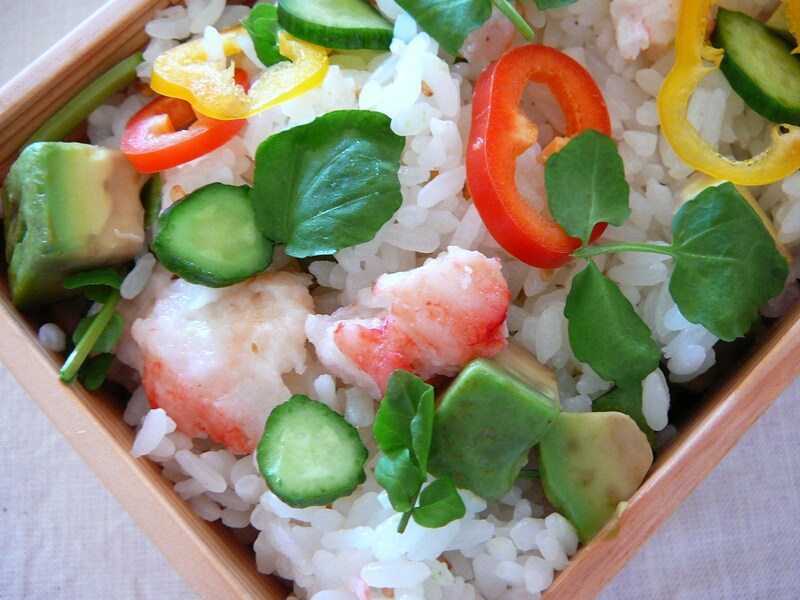 Having steamed the rice with plenty of konbu, she then prepared it as sushi rice. She mixed it with pieces of Kanikama, thin slices of cucumber, pimento, avocado cubes, cresson and home-pickled sanshyo/Japanese pepper. She decorated the top with the same! The salad and dessert box was very colorful, too! Salad of violet potatoes and boiled black beans on a bed of lettuce! 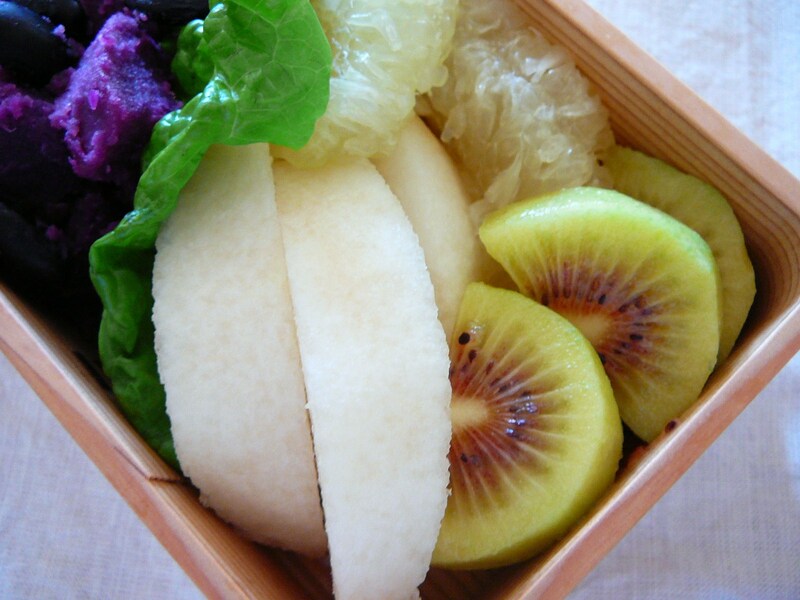 Dessert with plenty of fruit: Nashi/Japanese pear, grapefruit wedges and Red Heart Kiwi Fruit slices! 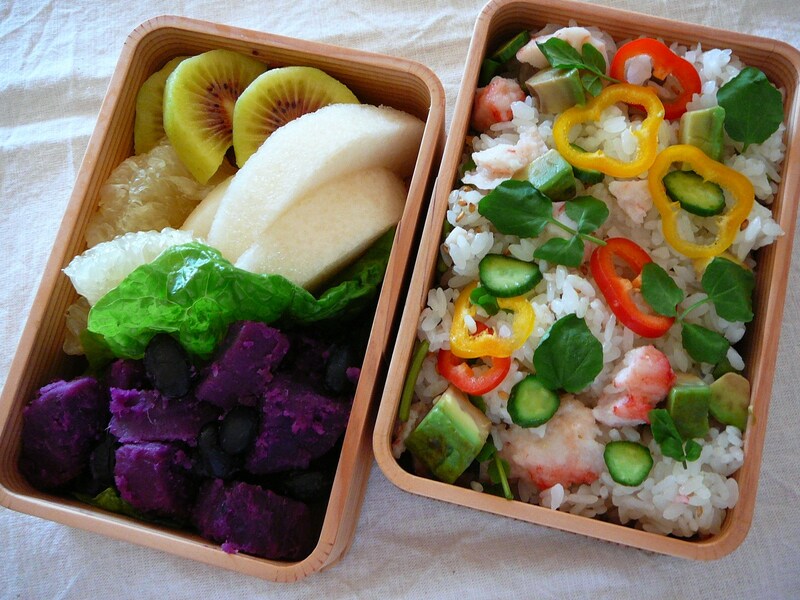 Very colorful and so tasty again! Previous PostToday’s Bento/Lunch Box (11/59): Sakura Inari Sushi & Sakura Ebi Tamagoyaki Bento!Next PostToday’s Bento/Lunch Box (11/64): Oyako Bento!